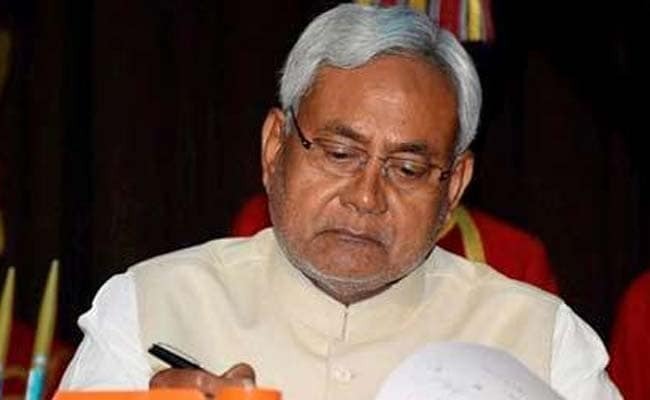 Bihar Chief Minister Nitish Kumar today stated that post-matric scholarships will continue for students of backward class (BC), extremely backward (EBC), scheduled caste (SC) and scheduled tribe (ST) to pursue higher studies. Kumar also made it clear that the department concerned would ensure through a proper verification that scholarships must be given to only “genuine students enrollled in genuine institutions” as instances have been found that students enrolled with “bogus institutions” too have availed of scholarship meant for SC categories. “Misgivings are being spread vis-a-vis post-matriculation scholarship. It will continue till 2016-17. Those (students) who have been availing scholarships will continue to avail it (scholarship) till completion of their education,” Kumar said. He said this while intervening in the government’s reply during the debate on state’s budget 2017-18 and Appropriation Bill in the Legislative Council. The CM, however, said that government will carry out study and review about the ‘student credit card scheme’ after the completion of 2017-18 in order to find out whether or not the scheme has benefitted students belonging to SC, ST, EBC and BC. It will be completely “optional” for students to avail of either ‘Student Credit Card’ facility or ‘post matriculation scholarship’, he said adding that students cannot avail the benefit of both the schemes. “We thought that we will not have to give scholarship to anyone as we have launched a universal credit card scheme for students,” the CM said. Stating that ‘Student Credit Card’ is completely different from ‘education loan’ given by banks, Kumar said that state government has come out with the scheme in consultation with banks. “In education loan, the union ministry of HRD gives guarantee to banks on the loan while the state government gives guarantee to banks for not only the ‘credit’ but also gives guarantee on ‘interest’,” he said. Notably, the Chief Minister on March 22 during ‘Bihar Diwas’ celebrations too had made it clear that scholarships for SC,ST, EBC and BC will continue.